A leading economic journalist explains why Washington's responses to globalization have created a global worker surplus that undermines both American workers and those in developing nations. 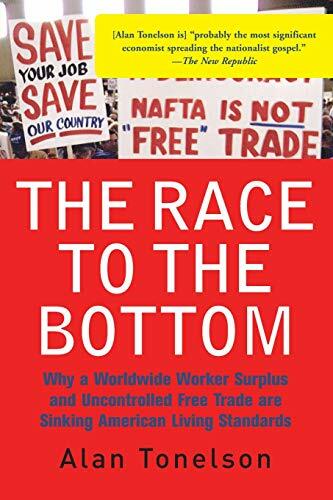 With the end of the 1990s economic boom, The Race to the Bottom deftly explores how the United States has entered a no-win global competition in which the countries with the lowest wages, weakest workplace safety laws, and toughest repression of unions win investment from the U.S. and Europe. Tonelson analyzes how the entry of such population giants as China, India, and Mexico into the global market has accelerated the erosion of wages and labor standards around the world. And he describes how an ever-larger share of this low-wage competition is hitting not just sectors like apparel and toys, but also many of America's highest wage industries like aerospace and software. Tonelson explains why the re-education and retraining programs touted by many political leaders offer little but false hopes to most U. S. workers as he outlines the real decisions Washington needs to make to ensure long-term prosperity for the U.S. and the rest of the world. Updated with a new prologue from the author.